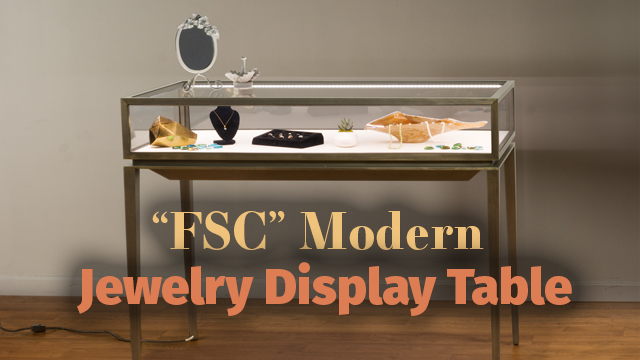 This jewelry cabinet with LED top lights is a stunning store fixture that will draw attention to the contents the moment visitors walk into a showroom or gallery. 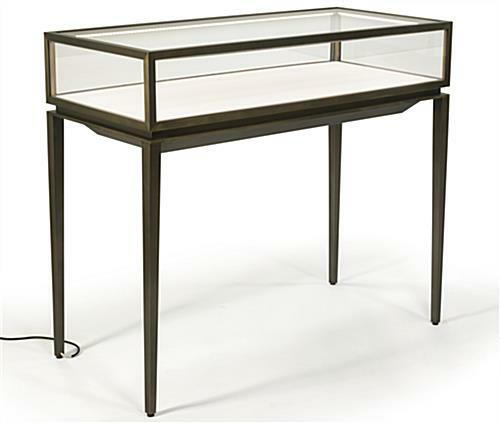 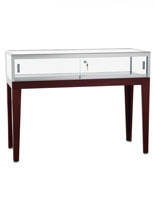 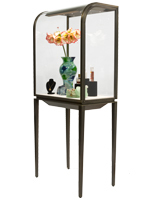 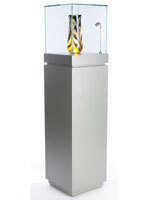 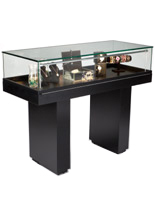 Display cases such as these modern fixtures with a stainless steel build and bronze lacquer coating highlight collectibles and gemstones, or any collection of quality merchandise. 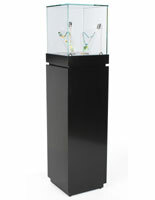 This cabinet with LED top lights and a tapered leg design includes locks to keep expensive contents safe from theft and damage. 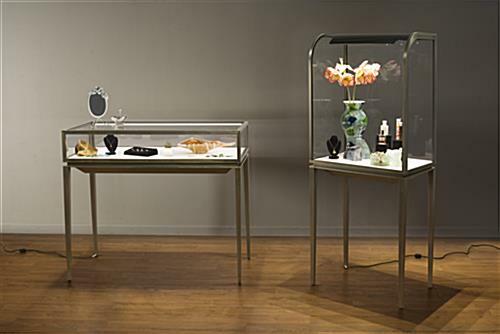 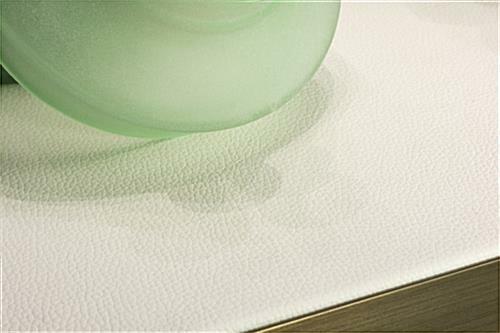 The illuminated case enhances the items within that are shown against a luxurious cream leatherette interior. 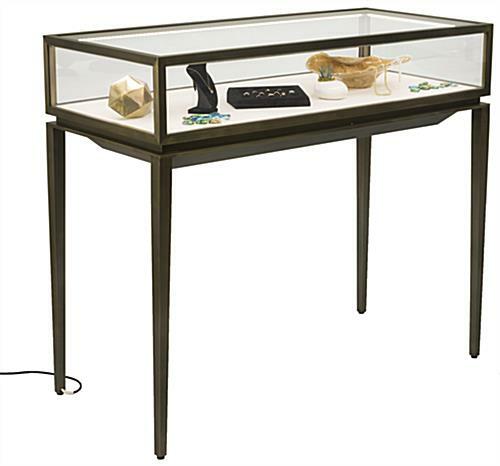 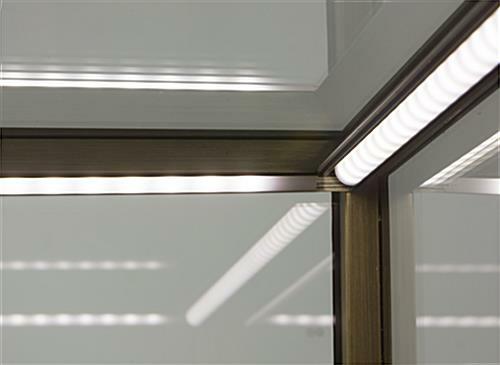 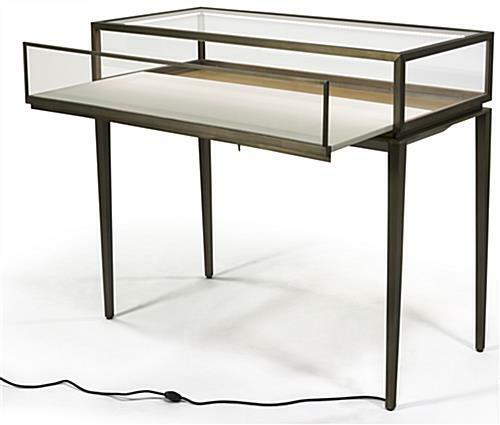 These display cases, also known as retail showroom furniture, have a power cord for convenience in turning the cabinet on and off. 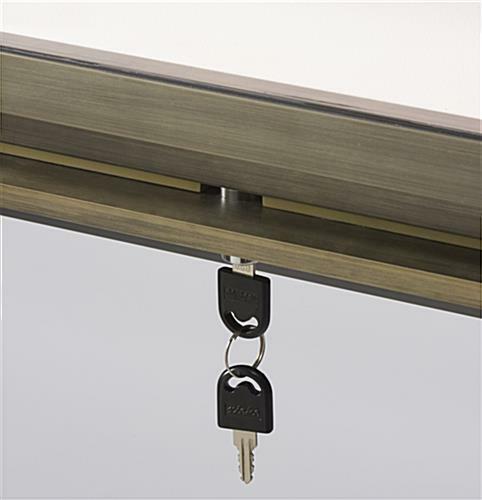 Adjustable floor levelers offer stability on uneven flooring. 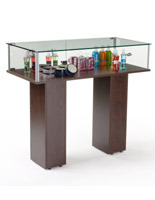 A rear slide-out drawer can be secured when retailers and staff need to step away from the display. 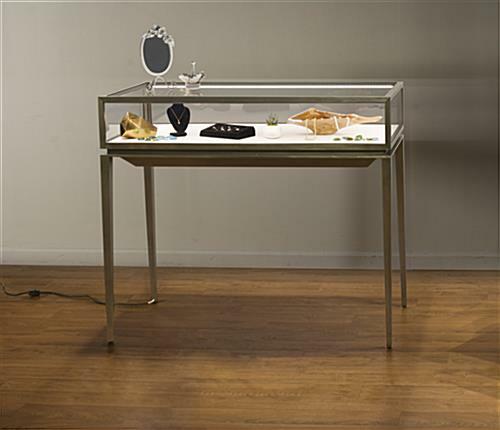 This cabinet with LED top lights displays beautiful merchandise for sale using quality lighting set into a durably constructed body construction.